Our second trip to Vegas was part vacation and part learning experience. 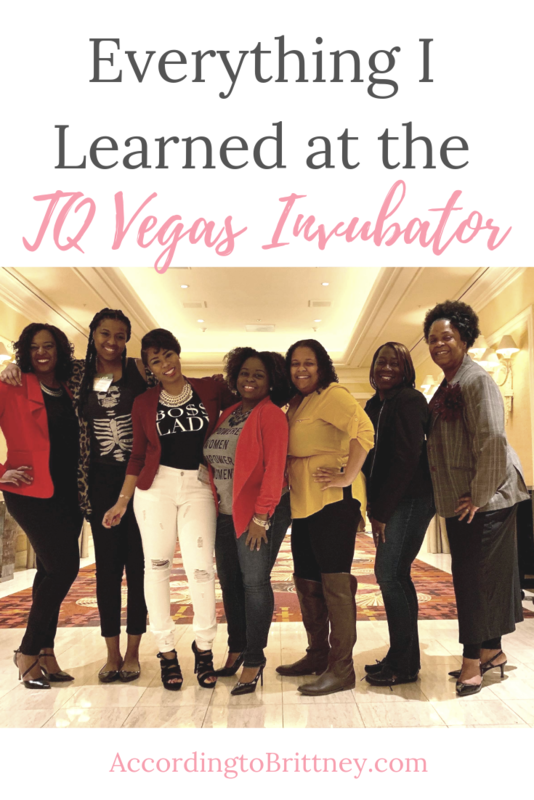 My sales coach, Erica Stepteau, hosted her first conference at the Mirage Hotel and Casino. As a TQ Coach, I had the pleasure of being apart of it. The Incubator was even better than I expected. I learned a lot, connected with some amazing Queens and had a ton of fun. Here’s my recap of my amazing experience in Vegas! We started our trip off by arriving a few days early so we can unwind. We’ve been moving for what seems like forever. So, we knew that a vacation was more than needed. Although there is a ton to do in Vegas, we actually spent a ton of time relaxing. The unusually cold weather also kept us inside more. We walked around the Mirage a dozen times, ate plenty of food and did a little shopping. Oh and visited the Art and Wax Museums! After 2 days of doing our own thing, it was time to get together with the TQA team. Myself, Erica, Jacinta, Morgan and Dr. Jackie (plus our significant others) all got together for dinner at Otaro. It was surreal seeing these ladies in person after seeing them online for so long! We talked about expectations for the conference, what we were excited about and then we spent some time setting up. We dove into the basics we need to understand our business on the first day. The foundations of your business is important, so I was happy to rethink some of these things. After Erica dropped some knowledge on us, we broke up into Time to Slay segments where we masterminded together. As a TQ coach, I led a group which was a lot of fun and led me to get to know the ladies better. Before, we got into the good stuff, Erica thanked her team with gifts and awards, including me! I’m officially an award-winning content writer and social media strategist! Related: View video recap on Youtube! I had a dress emergency because no matter how much shopping I did, I couldn’t find anything to please my picky self. I brought a dress with me that Brad lovingly told me looked like pajamas. So, I went shopping in the Paradiso shop in the Mirage and luckily found this (overpriced) beauty! The celebration meant drinks, dancing and connecting with each other outside of the learning environment. We had a blast! The final day really made the biggest impact. Things seriously got real. Erica got more in-depth with her content, some Queens preached inspiring words of wisdom and I was able to join the Mastermind of established Queens! I got so much inspiration and insight that fired me up the entire week home! Best thing about this conference is the connections made. When I got home, I had at least 5 calls with Queens. Plus, I’ve made over $900 already! I had the most amazing time and this was by far, the MOST fun and inspired conference I’ve attended. If you’re looking for a conference built around connection, I’d recommend to join us in LA at the next incubator. Be sure to mention my name when you sign up here.